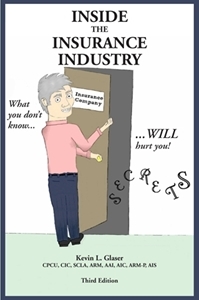 View cart “Inside the Insurance Industry – Third Edition” has been added to your cart. This book provides an in-depth look at the life of one of country music’s least recognized — but most iconic and influential performers and business owners. Given unprecedented access to Tompall, this book tells his story through his own words and through the words of those who knew him best as the result of many lengthy interviews. In addition to providing never-before known information about Tompall, this book provides historical information about Nashville and gives a glimpse of what country music was like during the 1960s up to the 1990s. Why buy directly from Right Side Creations, LLC? Author Kevin Glaser will be happy to autograph and/or inscribe your book purchases at no additional charge! Just provide any special wording you desire. Kevin Glaser has captured to true spirit of Tompall by using letters to home from the Army. Tompall seemed to understand life a lot better than most at that age. He knew he should get his life together before venturing into other things. And the fact he should find work that he enjoyed. Reminded me of the words of my grandfather at that same time period.I even went and started reading my own Army letters to my mother. What an eye opener. So if you are thirsty for Tompall information.. I recommend this book. I intend to read it again. And I haven’t picked up a book in 40 years. 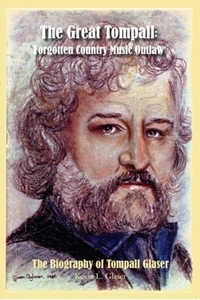 I am fascinated by Tompall Glaser but could never find much information about him or his music… this book solved that! This book is written extremely well by Kevin Glaser and is not one sided in anyway. Letters from Tompall’s army days made me feel quite sad and gave me a totally different view of Tompall. I have always believed he was the most underrated country singer we have known and could never understand why he never made it as big as Waylon and Willie. From reading this book it has opened my eyes more to what Tompall actually did for country music and helping others singers with their music, breaking down barriers and standing up for other musicians. Basically put others music before his own.Stories from hillbilly central are very informative and amusing to read, you get to know what the Great Tompall was really like, good and bad. Towards the end of the book stories from his touring days in England are described in great detail giving a more private side to Tompall. I still find it hard to believe the County Music Hall of Fame has not yet recognized Tompall and using the address given in the back of the book I will be contacting them with my opinions.If you love Tompall’s music as I do this book is a total gem for your collection. If you have never heard of him track down some CDs or vinyl and enjoy his beautiful voice.I listen to Tompall’s music everyday and am delighted I have this wonderful book in my Tompall collection. Don’t miss this book! It takes you on the journey of the life of the Great Tompall Glaser. Sadly, and unfairly, he has all but been forgotten in country music history. He was maybe the best country music ballad singer ever. This book shows us he was much more than just that. Glaser Sound Studios (Hillbilly Central) was the birthplace of the “Outlaw Revolution” in Nashville in the ’70’s. This book takes you inside that 24/7 studio and all the music magic that was made there. You will see that Tompall meant so much to so many musicians and singers. It is clear that Tompall Glaser should have been a HUGE star, and a household name as much as Waylon and Willie. The book makes it clear as well that he has earned his place in the CMA Hall Of Fame. (What’s the hold up?) Of particular interest is the inclusion of the very personal and private poem Tompall wrote about the end of his friendship with Waylon. It was heartbreaking. Although written by Tompall’s nephew, the book is not at all one sided. Kevin was very fair and exposed Tompall’s “warts”. They were all part of what made up The Great Tompall Glaser. If you are like me, a “crazed” Tompall fan, treat yourself to this book. If you “never heard of him” find some of his music SOMEWHERE, listen to his unique and amazing voice, fall in love with his talent, and read this book. You won’t be sorry, and I promise you will become a fan. Well done, Kevin Glaser.